S&ST offers waveguide kits (protected by US and overseas patents) and Copyrighted lab manuals. These experiments can be used for high school, undergraduate and graduate students. With these kits students will be able to better understand the “Law” of Reflection, Snell’s “Law”, the phenomenon of total internal reflection and light propagation in general.to better understand the “Law” of Reflection, Snell’s “Law”, the phenomenon of total internal reflection and light propagation in general. 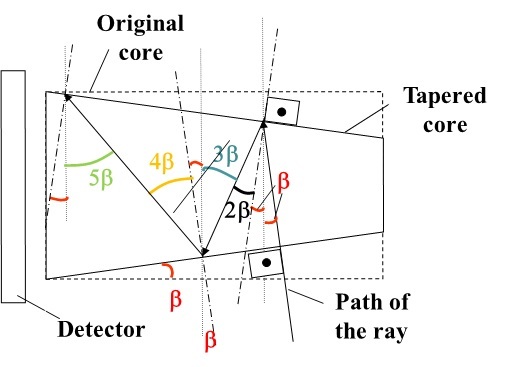 This leaking out of the light, can be easily explained in terms of Geometrical Optics (see illustration below). 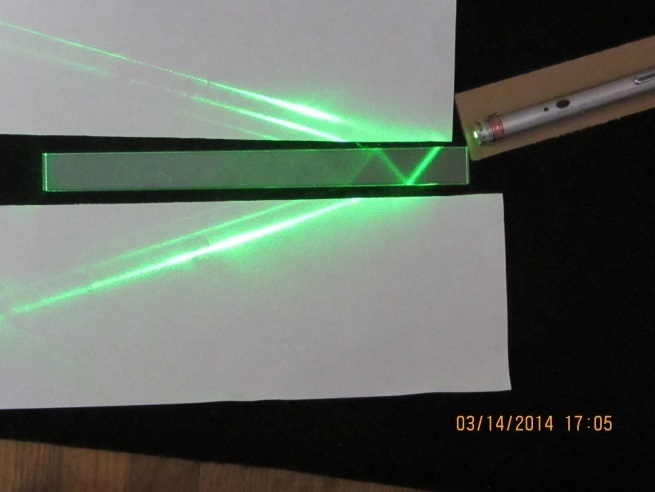 Unlike the regular waveguide shown above, light in a side illuminated tapered waveguide can achieve total internal reflection as it is illustrated in this picture. 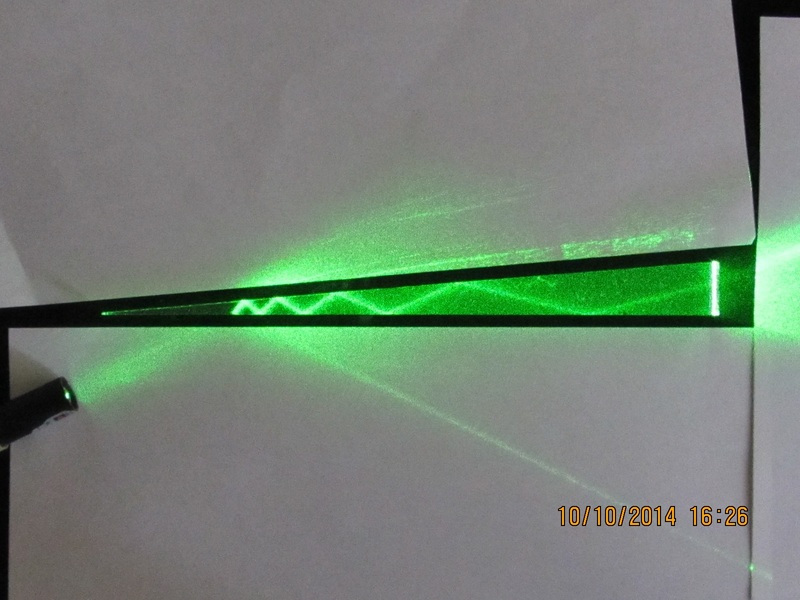 This phenomenon of total internal reflection can also be explained in terms of Geometrical Optics.